The NSO has written to an American academic after concerns were flagged about a controversial statement in her book Aurangzeb: The Man and the Myth. 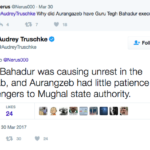 Audrey Trushcke, Assistant Professor of South Asian History at Rutgers University said Aurangzeb executed Guru Tegh Bahadur because he was ‘causing unrest in the Punjab.’ The same comment has been recently made by the Professor on social media. At the time of writing we have had no official response from the Professor or the publishers of her book. Members of the House of Lords called for a ‘credible investigation’ into the chemical weapons attack in Syria, which was responsible for over 70 deaths in Khan Sheikhoun, Idlib on Tuesday. 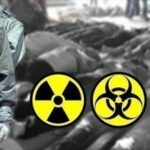 According to UK-based monitoring group the Syrian Observatory for Human Rights, 20 children and 52 adults were killed in the chemical incident. 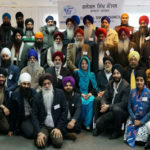 Lady Singh has been unanimously elected to lead the Global Sikhs Council (GSC) at its annual general meeting (AGM) last week in Kuala Lumpar, Malaysia. Former Vice-President Lady Singh’s election to head the group was met with approval from delegates from 18 countries at the AGM. 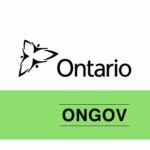 A representative from an umbrella body of Malaysian Sikhs in attendance expressed his confidence in the new appointment. “She is a capable person,” he told Asia Samachar. The organisation was initially set up in Australia in 2014, to establish a coalition of national Sikh organisations from across the globe that would fearlessly promote values and policies consistent with Sikhism. 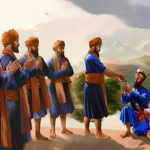 On her appointment Lady Singh confirmed one of the GSC’s aims is to promote the primacy of the Nanakshahi calendar, so this gives uniformity to the celebration of Gurpurabs. 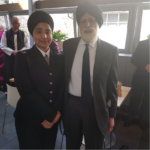 Along with her new role, Lady Singh continues as Education Inspector and consultant responsible to inspect religious education in Sikh Schools for the Department of Education. She is also the Deputy Director of the Network of Sikh Organisations.